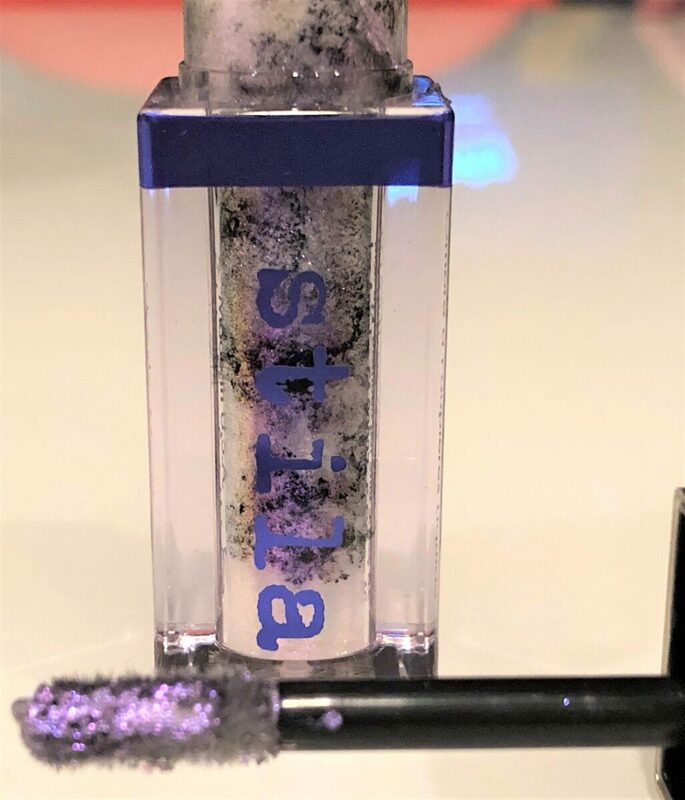 Stila calls the new Stila Shade Mystere Liquid Eye Shadow Groundbreaking. 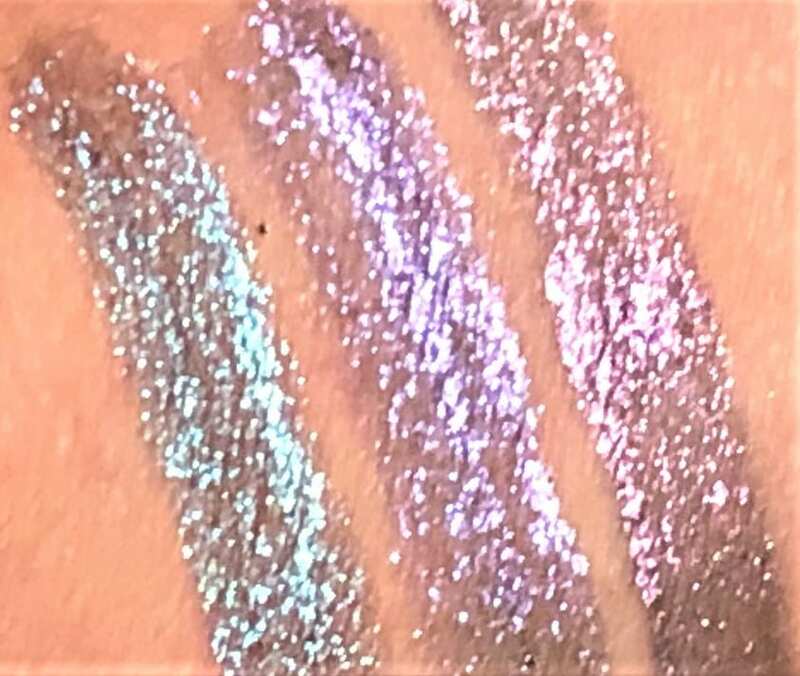 The reason is, the new liquid eye shadow has a new effect. In other words, in the tube,the shadows look like they have two marbled colors. However, when you apply the liquid to your eye lids, the shadows morph to become one shade. 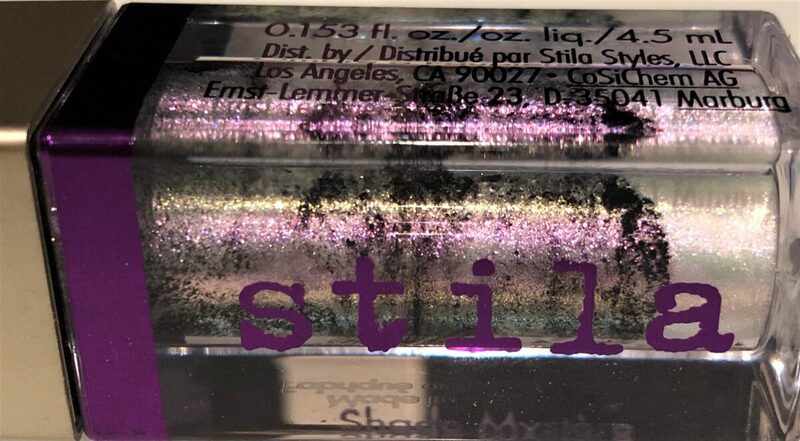 What sets Shade Mystere Liquid Eye Shadow apart from Stila’s other liquid eye shadows, Magnificent Metals Glitter and Glow, and Stila Shimmer and Glow, is Shade Mystere Liquid is color-flipping. Furthermore, when the shade catches the light, the color shifts. 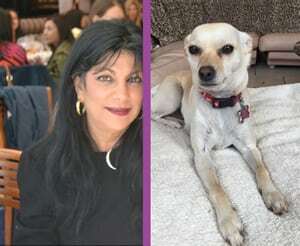 You can find the new Stila Shade Mystere Liquid Eye Shadow at Sephora, and on the Stila Cosmetics Website. 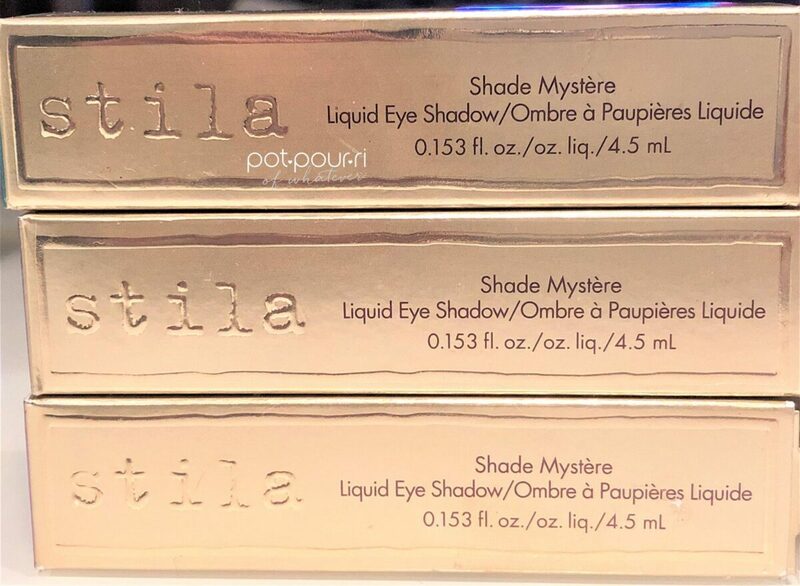 In addition, each Stila Shade Mystere retails for $24. The Shade Mystere Liquid Eye Shadow comes in a matte gold Stila box. 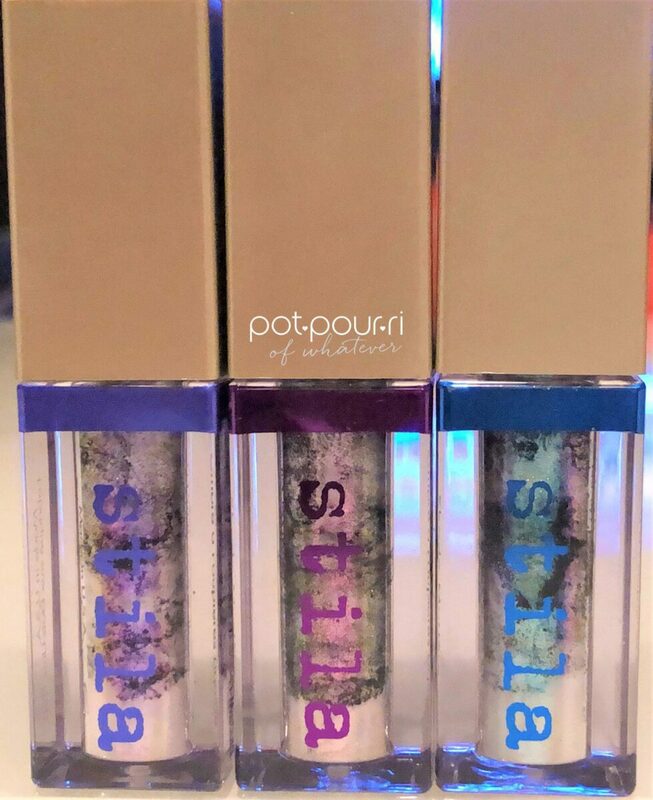 I love that the liquid shadows comes in a clear tube. 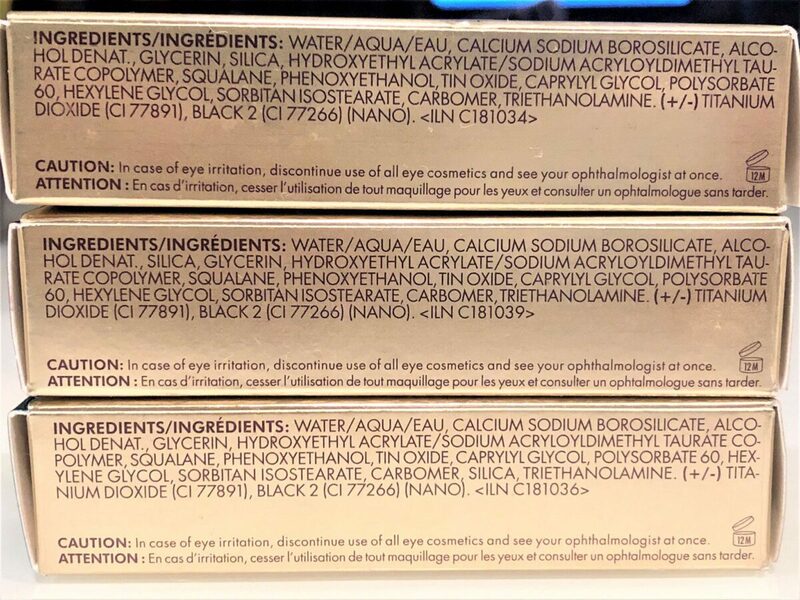 Furthermore, each tube has a matte, rectangular gold lid. I love the clear tube because you can see the two marbled colors inside. The Rectangular lid holds a doe-footed applicator that applies the shadow. Also, use the doe-footed applicator to stir the marbled shades inside the clear tube. As a result, the shades morph together to create the new, color-flipping shade. 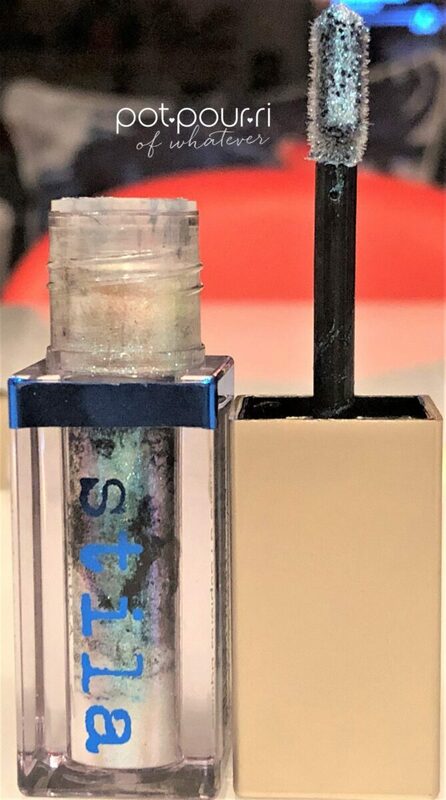 To start with, the shades in the tube morph into one color flipping shade because they have a unique combination of color flip pigments, pearls and shimmer particles. The end result is a high impact color, color changing effect that sparkles. The formula is long-wearing. Also, there is hardly any fallout. There are eight high-impact colors in this collection. All of the shades have a sparkly finish.Moreover, I purchased three of the eight shades. First, Mystic is a Peacock Blue Shade with Teal. Additionally, it has a violet flip. Second, Spellbound is a violet shade. It has a fuchsia and blue pearl flip. Third, Enigmatic is an Aubergine shade with a violet pearl flip. To start with, Psychic is a Periwinkle shade with a pink pearl flip. Next, Spiritual, a Yellow shade, has a gold and red pearl flip. 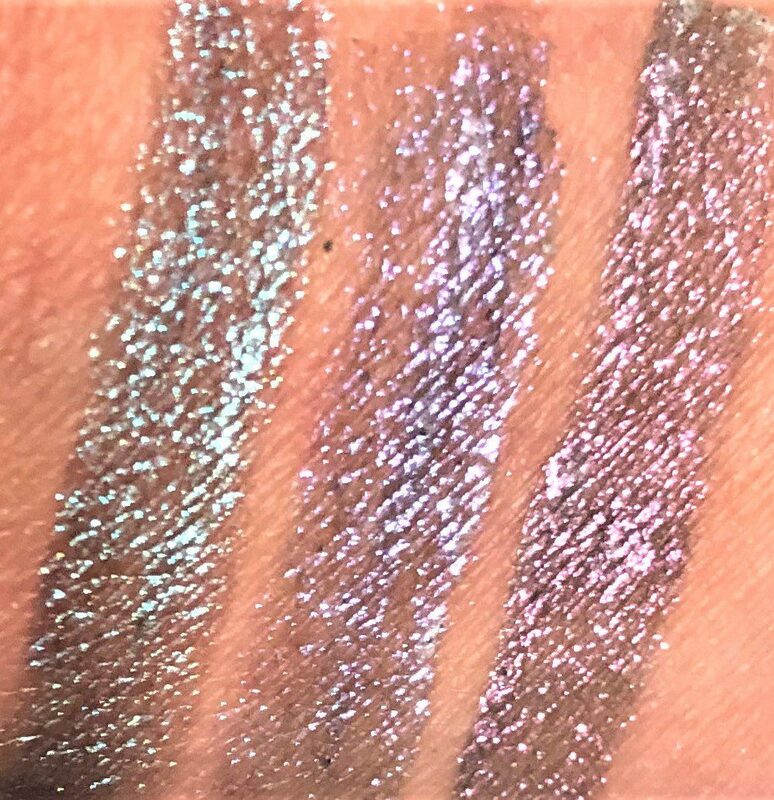 In addition, Charmed, a true pearl shade, has a red flip. Furthermore, Hypnotic, a burgundy shade, has an olive and gold flip. Finally, Mythical is a lilac shade with a blue pearl flip. 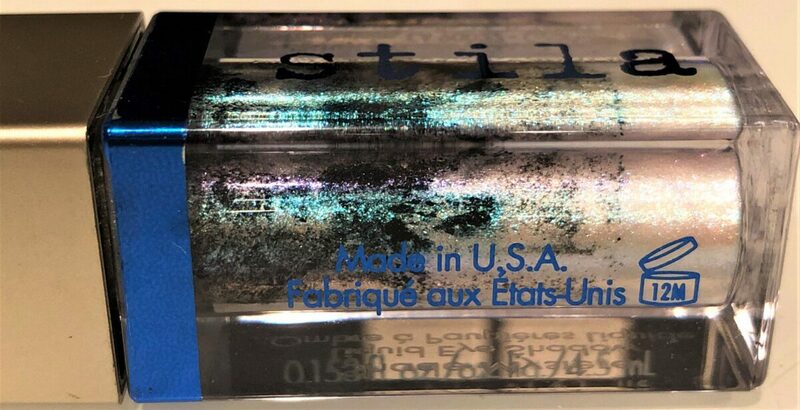 Stila Shade Mystere Liquid Eye Shadow Last But Not Least………. 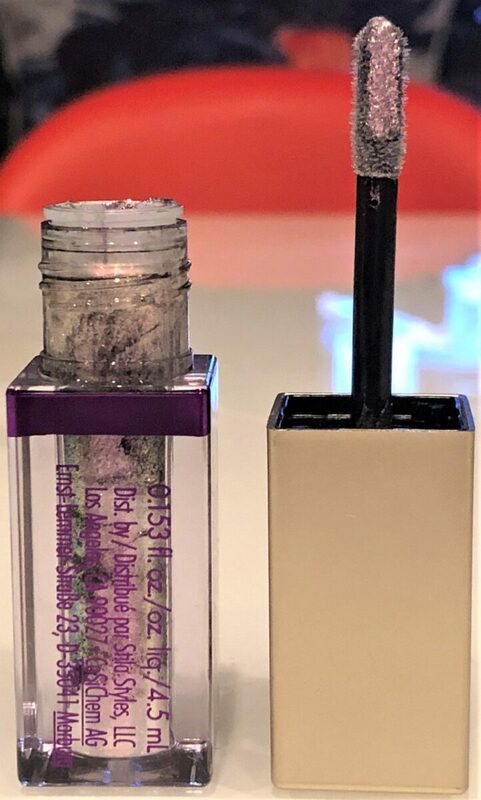 A little tip, make sure you swirl the applicator when it is inside the tube. Then, take the applicator out to apply the shadow. 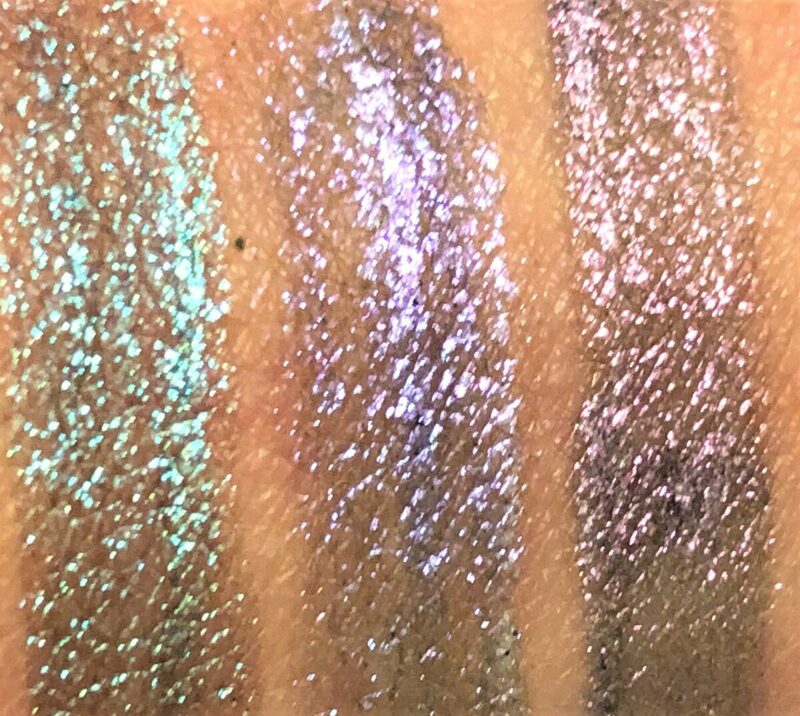 Moreover, I love that each time I use the Shade Mystere Liquid Shadow, the intensity of the colors changes. As a result, no two applications are a like. My favorite shade is Mystic because I love peacock blue / teal shades and this one has a gorgeous violet flip! 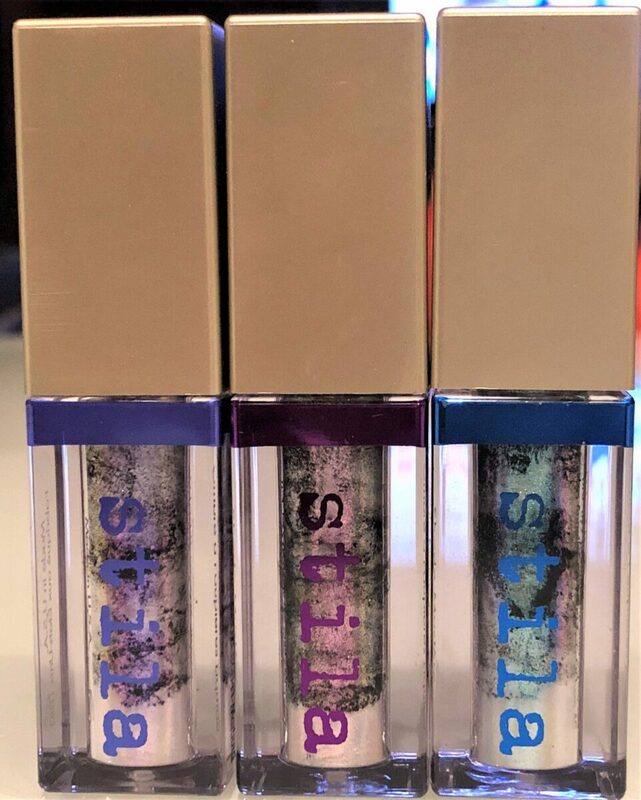 Have you tried any of Stila’s Liquid Eye Shadows? I love them all. They come in beautiful colors, and they have amazing sparkle! 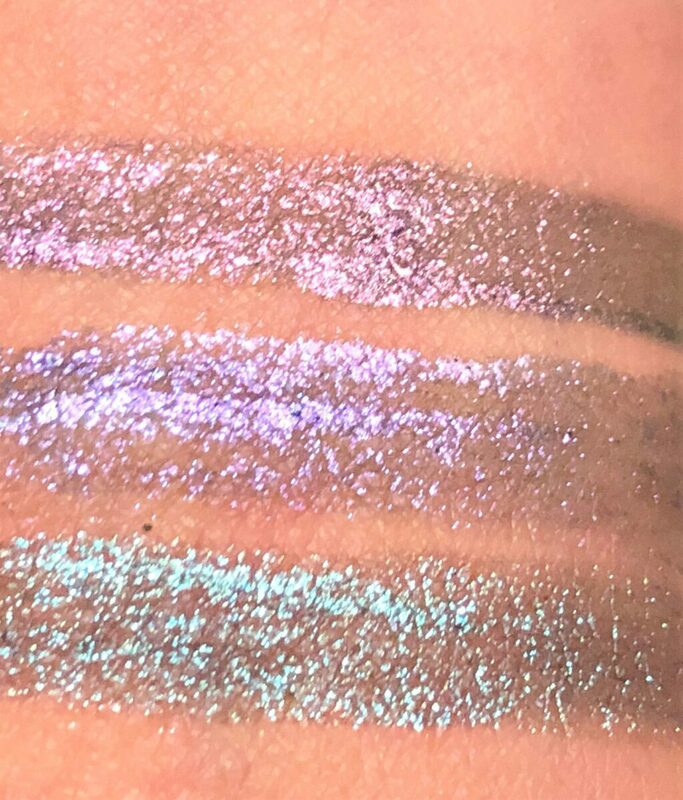 Do you like liquid shadows, or do you prefer a powder shadow? Tell me what you think in the comments below.